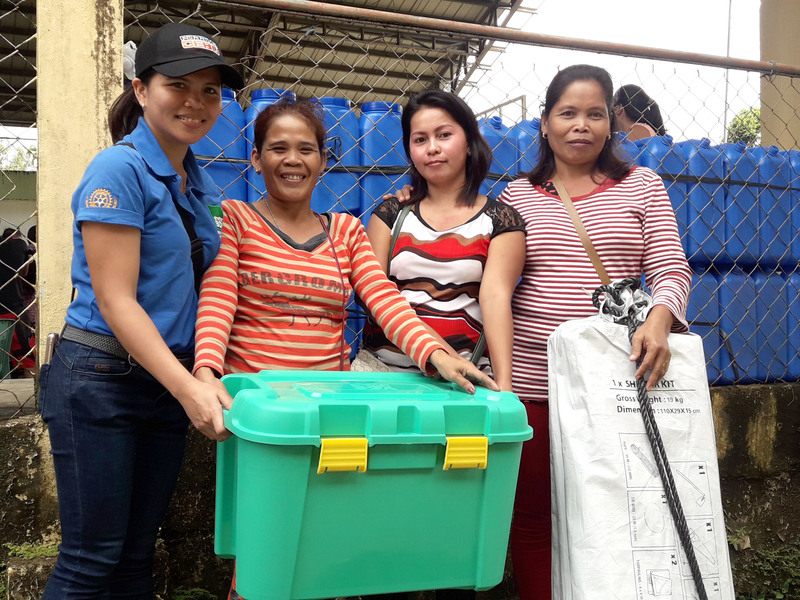 A ShelterBox Response Team has completed distributing aid to northern Samar, Philippines after Tropical Storm Usman made landfall on Dec. 29, 2018. Heavy rains triggered landslides across the central part of the country. The storm coincided with monsoon season, making rainfall and flooding even worse. An estimated 190,000 people have been displaced from their homes, with at least 3,000 homes damaged or destroyed. The team’s focus has been on Lope de Vega, where many local districts (or barangays) were submerged by water after the storm. Around 600 homes were destroyed there and many more badly damaged. We are supporting the local government’s relief efforts by providing emergency shelter and aid items, including ShelterKits, mosquito nets, solar lights, water carriers, blankets and storage boxes. By the end of February, we completed distributions of ShelterKits and provided aid to 2,193 households. ShelterBox has a registered office in Cebu, Philippines. The pre-positioned aid items stored there and our local partnerships, such as Rotary International, are helping us respond quickly and effectively. The Philippines is one of the world’s most disaster-affected countries. ShelterBox has responded to disasters there more frequently than any other country – an average of nearly twice a year since 2004 (25 times in 13 years). This includes Typhoon Haiyan, which remains the strongest storm ever recorded to make landfall in the world. 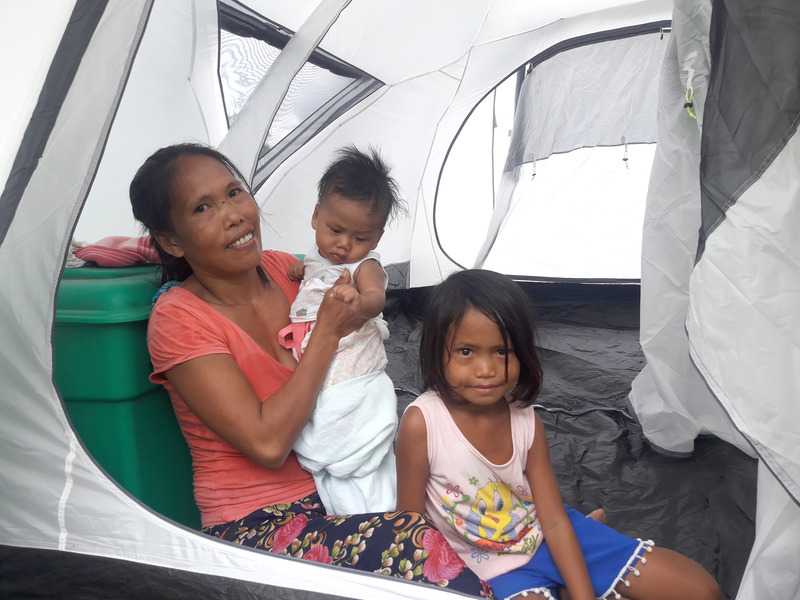 ShelterBox distributed emergency shelter and other aid supplies to 1,024 families in the Philippines after Typhoon Mangkhut made landfall as a Category 5 typhoon on Sept. 15. Known as Super Typhoon Ompong in the Philippines, the storm sustained winds of 130 mph, gusting more than 170 mph, and threatened more than four million people. Our team worked closely with Rotary contacts in the area to understand how to quickly help families left without a home after the storm. Distributions are now complete. In 2017, ShelterBox established ShelterBox Operations Philippines in Cebu to improve their ability to respond. After Tropical Storm Urduja hit in December 2017, the in-country status, local contacts, and pre-positioned aid items enabled ShelterBox to act faster. This system aided quick response after Typhoon Mangkhut. 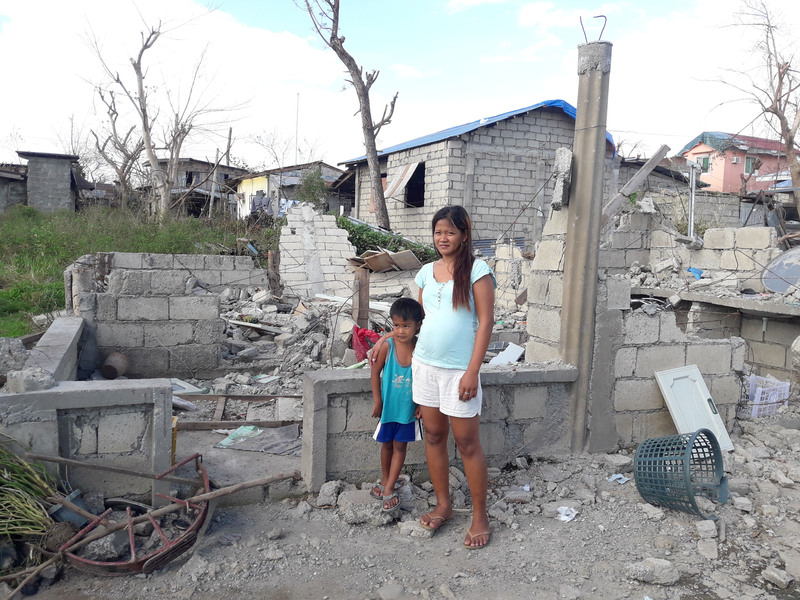 Pregnant mother of three, Jini Tarampi, stands with one of her children on top of the ruins of what once was her home. Her house was destroyed by super Typhoon Mangkhut in the Philippines. Jini told the ShelterBox Response Team she earns a living by selling vegetables in the local market and her husband is a taxi driver. The typhoon hit in the middle of the night. At first, her family was sheltering in their home, but fearing for their lives, they fled to a relative’s house nearby. When they returned in the morning, they found their home was completely destroyed. They are now living with Jini’s mother as they do not have the means to rebuild. She told the team they are looking for support wherever they can find it. ShelterBox is working on the ground to support people in need, like Jini, as they work to restore their lives. Within just a few weeks of the storms hitting, our Response Teams were on the ground with Rotary International. Together, they worked to assess needs and find out whether families could safely stay where they were and what they would need in order to continue being there. 36 ShelterBoxes arrived in the Philippines, for families affected by flooding and mudslides caused by Tropical Storm Kai-tak. We’ve responded in the Philippines more than any other country we’ve responded to. Over the past 15 year, we have responded 25 times and supported over 21,500 families. Have a look at some key dates dating from 2000 up until today. 2000 – ShelterBox was founded in Helston, Cornwall. 2004 – Typhoon Nanmadol, locally known as Yoyong, hits the Philippines and ShelterBox responds soon after. 2009 – Typhoon Parma, known in the Philippines as Typhoon Pepeng, was the second typhoon to affect the Philippines within the span of a week. We supported nearly 650 families. 2011 – We supported families in Luzon following Typhoon Pedring, known locally as Nesat. 2013 – Typhoon Bopha, known in the Philippines as Pablo, devastates the Philippines. We responded in the area of Mindanao, supporting over 1,200 families. 2013 – Typhoon Haiyan, known as Super Typhoon Yolanda in the Philippines, was one of the strongest tropical cyclones ever recorded, wreaking havoc in the country. we responded with supporting nearly 3,500 families. 2014 – Typhoon Rammasun, also known as Typhoon Glenda, was one of the only two Category 5 super typhoons on record in the South China Sea. We supported more than 1,000 families in the area of Legazpi. 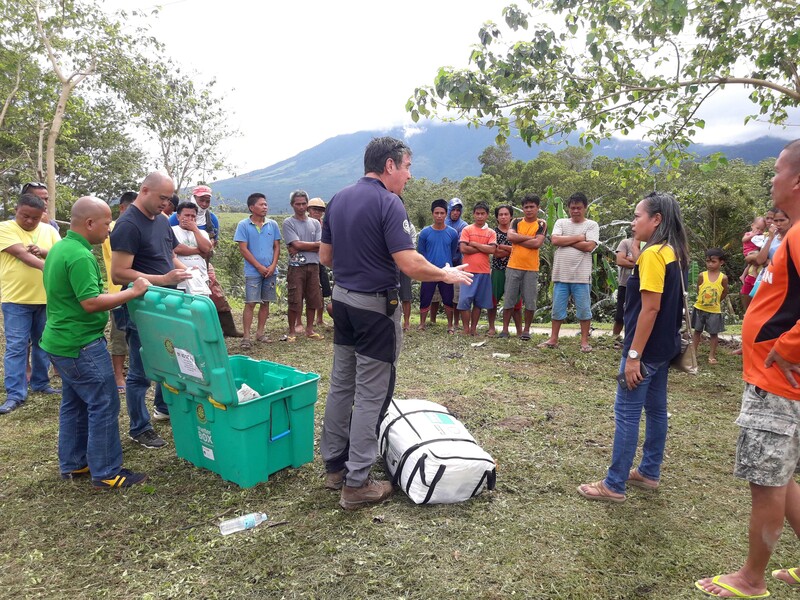 2017 – ShelterBox Operations Philippines is established as a non-government organisation. 2018 – Also known as Ompong in the Philippines, Super Typhoon Mangkhut ripped through the Philippines’ main island of Luzon. We responded by supporting over 1,000 families in the area. 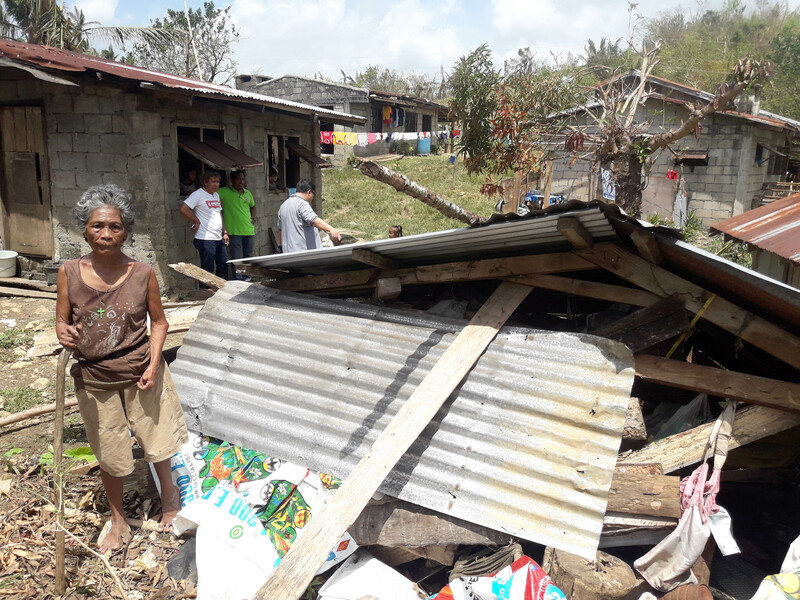 2019 – Our latest response in the Philippines follows the devastating Tropical Storm Usman that made landfall in the country last December. We’ve supported over 2,000 families with ShelterKits, mosquito nets, solar lights, water carriers, blankets and storage boxes.